Converse had released a beautiful set Chuck Taylor series highlighting NBA teams. The collection is now listed as Sold Out on the Converse website. The collection, released just four months ago, was incredibly popular amongst NBA and Chuck Taylor fans. The collaboration between the NBA and Converse stems from the relationship Nike, which owns Converse, has with the different sports associations and leagues. You may be able to get your hands on some of the limited edition NBA Collection Chuck Taylors on websites such as eBay or third party sellers, but it probably won’t come cheap. Although Chuckverse cannot confirm if there was a direct collaboration with team members on designs of the shoes, each shoe design represents the team in true glory. Premium materials were used to create this collection, and no detail went unnoticed. The shows are likely to be on display shelves rather than used as daily drivers. We hope to hear about some great auction stories related this collection in the future. Photos are sourced from the Converse website. It’s not often that we go about posting shoes that are not Chuck Taylors. In fact, its extremely rare for us to post anything other than Converse and Nike news, shoes, and updates. 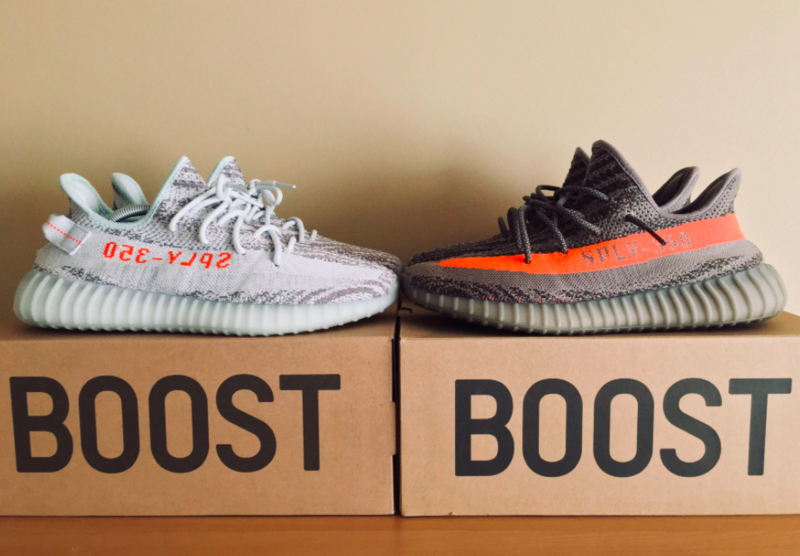 However, we would be amiss not to add a beautiful shot of the Adidas Yeezy Boost side by side black vs white comparison we spotted on Reddit. Some of the most popular shoes of the decade, we have seen many folks stand in long lines to obtain varieties of these shoes. We thought this shot that was submitted by a reddit user deserved spotlight on our blog. Remember that Adidas was the number one competitor to Nike when the company was just starting out. With that being said, the duel between Nike and Adidas, although likely to be forever lasting, was not related to our beloved Converse brand. The Converse brand was picked up by Nike in the early 2000s. Ever notice something fuzzy on the sole of fresh new Chucks? It’s always there, but we never questioned it. When you get a new pair of Chuck Taylors, you may have noticed that there is a nice fuzzy sole. Something that almost looks like the little sticks of rubber coming out of a brand new tire. Well, the extruding rubber on a tire is to classify the tire as new or slightly worn. Why do Chuck Taylors have a fuzzy or felt sole? By adding the felt to the sole of the shoe, this classifies the Chuck Taylor Sneaker as slippers, not sneakers. Perhaps you have noticed that the first few days of wearing your fresh new sneakers are a tad bit slippery? This could be why. The not so distance cousin of the Chuck Taylor shoe, PF Flyers, are known to do this as well. 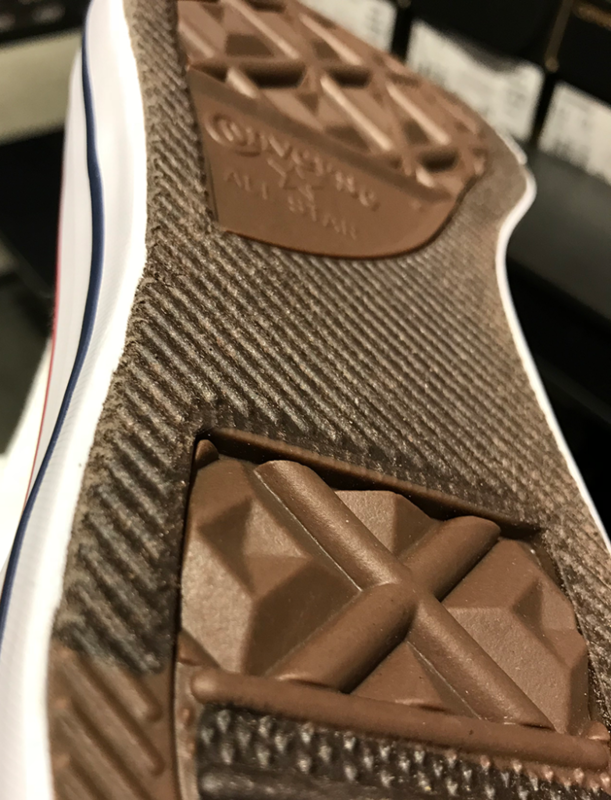 Now, the interesting thing is that this tariff is only related to the US, so you may not see these type of fuzzy soles on a fresh pair of international Chucks. One of the cultural icons of our generation is to see the Chuck Taylor come into play on a couple’s very special day. The wedding day. Typically seen as part of the groomsman’s uniform, we received a message from a Photography company that had a very cool take on bringing Chuck Taylors to the ceremonious day. Something that we have never seen during our search for Chuck Spotting, the tip we got was about custom monogrammed Chuck Taylors. Yes, weddings these days have their own logos and their own websites and in San Francisco might even have their own apps! There’s no doubt that SnapChat filters are a popular wedding decoration as well. Nonetheless, these Chuck Taylors are amongst the coolest we have been able to spot. 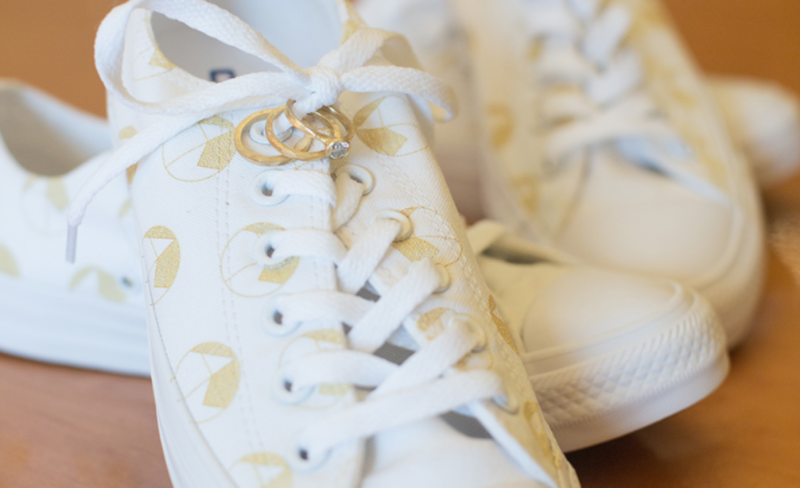 And, what a beautiful shot of the rings intertwined to these gorgeous custom pair of chucks. You can view more photos from the couple’s beautiful wedding celebration on the Photographer’s website, Red Eye Collection. Congrats Ashley and Malorie! Special thanks to Red Eye Collective for the photo, check them out if you are in the San Francisco Bay Area. Every once in awhile there is something that comes along and educates you about a particular thing that you may not think much about. I see Nike shoes everywhere, and always expected it was a brand that had been around for many years like Coca Cola or Ford Cars. However, the story of Nike is one that is very inspiring. I’ll be completely direct. When a billionaire is writing a book, it better be a good book. Even Phil Knight said that he had about four editors working with him very closely to write the book. Regardless, this book is nothing short of a masterpiece. He takes you step by step through the story of what Nike was before it was… well, Nike. It goes until the point of Nike’s IPO in 1980 and maybe a little bit there after. It is missing a really exciting piece of Nike’s history, but maybe that will come later. Think of this as more of an origin story. This book makes me really excited about Nike shoes. Phil Knight talks about how he saw Converse as a competitor in the early days, although he was focusing more on Track shoes back then. The start of the book primarily goes into detail about Onitsuka Tigers, known as Asics today, which Knight started selling before the company tried to buy him out. Throughout the book you hear about the different design iterations that Knight and his team create in Nike, along with the people meet along the way. 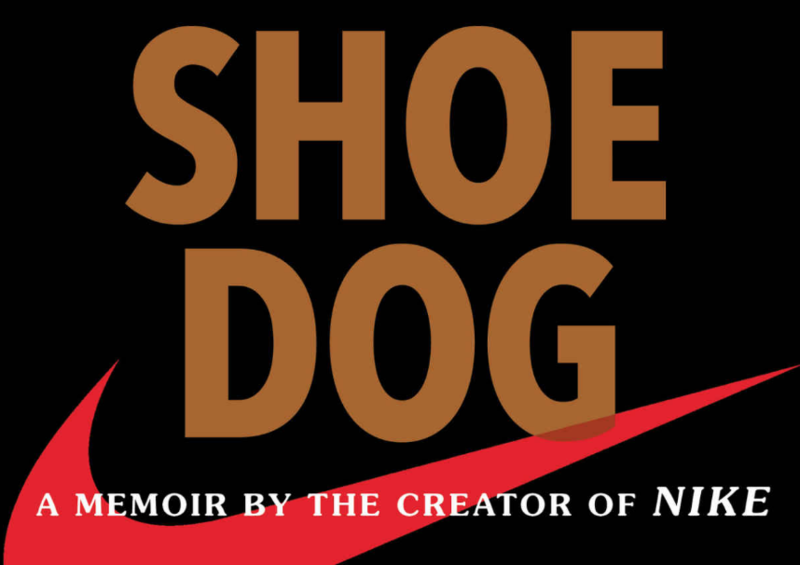 What is a Shoe Dog? Knight simply refers to a Shoe Dog as an industry term for someone that is deeply in the business of shows, whether it is manufacturing or otherwise. Check out the book on either Audible (my favorite is audiobooks) or Amazon by clicking the image below. We all know that Converse Chuck Taylor All-Stars are a popular choice for wedding. Cutesy weddings, hipster weddings, casual weddings. All types of weddings. Really though, a pair of nice clean Chucks go REALLY well with a fitted suit. Converse took note of this, so far as creating an entire category for “Wedding Shoes” on their site. Walk down the aisle in style with a pair of Converse wedding shoes. Constructed with the latest and most innovative shoe technologies, all wedding Converse are built for all day wear, which means you can dance late into your wedding night in complete comfort. Whether you’re looking to dress the bride, groom, flower girl, groomsmen or the entire bridal party, Converse has the best selection of wedding shoes for your big day celebrations. Copyright 2017 Chuckverse. All rights reserved.